Why should you buy league boosting in LoL at dving.net? What problems can be solved by League boosting? Weak players. You will always face newbies at your way, who will be the reason of your loose. You need help from our Challenger players, who will get you past trolls and newbies at lower ranks. Division points grinding. You will need to waste a lot of time before you get to the league you want. Lots of it! 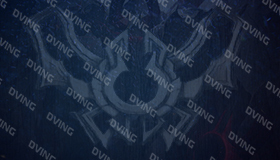 We offer you the way, which will save your time - dving.net lol boosting will get you to top 200 of Challanger tier!